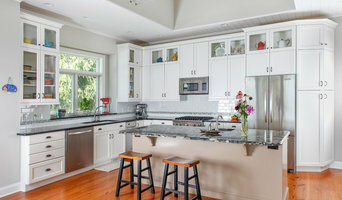 Ann Arbor Award-Winning Architect- 4X Best of Houzz Winner! 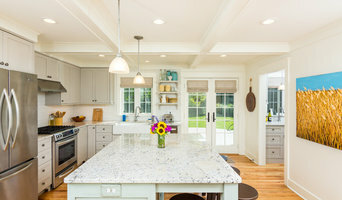 Ann Arbor's Award-Winning Remodeling Firm - SEVEN times Best of Houzz! 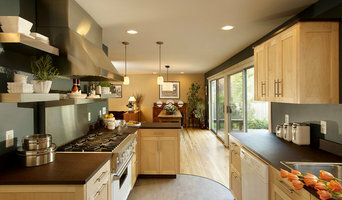 Alpha Design+Build is one of Ann Arbor's premiere home remodeling and construction companies. Our designers work with you to plan the perfect space, and our master carpenters complete the task with care, down to the details that often go unseen. Your home remodel isn’t just about smiling when a project is done. We want you to smile, broadly, at every step — from design through construction and for as long as you live in the space. Our process helps us ensure that your project is completed on schedule and with minimal disruption to your daily living. We’re professional designers, master carpenters, and expert project managers. We love collaborating with clients and applying our creative and technical skills for a remodeled space we know they’ll love. Since1989, award-winning Alpha Design + Build has earned a reputation for quality work and exceptional service. Our team guides you through all of the project steps, including master plan/feasibility studies, space-planning, product selections, and complete construction. Alpha handles everything from start to finish, simplifying and streamlining the remodeling process. Our showroom provides one-stop-shop convenience, but our most important asset is the team of interior designers and project managers, working together every day. Damian Farrell, FAIA, came to Ann Arbor from Durban, South Africa over 30 years ago. He has worked for numerous architecture firms, both large and small, and was able to put the practices and principles he liked best into use by opening his own firm. With a small team we're able to make decisions quickly, get to know (and win the trust of) our clients, and share ideas freely. Our mission here at DFDG is to bring about change through inspired and thoughtful design. We want you to love your project, and we want to be a part of the process that makes that happen! We welcome new challenges and ideas. We want to hear what you have in mind for your project. Family owned and operated Design-Build Company with focus on sustainable green building & high performance home design. We build 3-4 new Custom Homes and 4-6 mid to large Additions - Renovations per year / Four Season Builder / based in Ann Arbor, Michigan. We use several approaches to design including our architectural partners, modified internet plans or our customer's architects. We have built several styles of home including Craftsman, Modern, French Chateau, Mid-Century and Traditional. Giraffe Design Build is an Ann Arbor based Design [and Build] practice founded on equal measures of passion for both good design and excellent craftsmanship. Our motivating belief is that the built environment has a profound effect on people's lives, and merits our attention, consideration, and best efforts. We are a collaborative team of designers, craftsmen and artisans with projects ranging from sustainable new homes to the reinvention of existing spaces. We provide exceptional interior/exterior remodeling including kitchen, bath, basements, decks, & more. 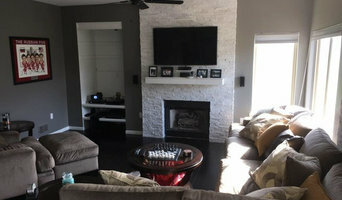 JJ’s Home Improvements, Inc. began making remodeling dreams come true in 1986, with a full-service, personal approach. We work with area architects and designers who are dedicated to customer satisfaction. Our subs and suppliers are the finest. Our long-standing relationships with local architects and suppliers provide you with a variety of choices that will fit any project. We specialize in kitchen remodeling, bathroom and basement remodels as well interior renovations, additions, and replacement windows. At JJ’s Home Improvements, we strive to make our customer comfortable during the remodeling process and their satisfaction is our top priority. We are fully licensed (Michigan builder license #2102146237) and insured.